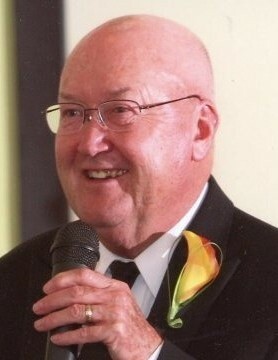 Wayne Hendricks, 77, of Washington, IL died at 4 pm Thursday, January 24, 2019 at his home surrounded by his loving family. Born on August 1, 1941 in Pekin, IL to Everett “Briggie” and Lillie White Hendricks. He married the love of his life, Betty Sturch on March 15, 1963 in Delavan, IL. She survives. Also surviving are his son, Todd (Michelle) Hendricks of Elk Grove Village, IL, his daughter, Angela Hendricks of Washington, IL, 3 granddaughters; Alyssa Adduci, Abigail Adduci, and Hannah Hendricks, and many nieces and nephews. Wayne was preceded in death by his parents, brother, Richard Hendricks, and sister, Joan Breckenridge. He received his BS at Western Illinois University, his MS at Northern Illinois University and completed an additional 20 graduate hours. Wayne taught at Tri-Valley, Atlanta, and Frankfort Junior High for a total of 36 years, 13 of which he coached various sports. He was a member of the IEA, the NEA, and because of his love for sports, particularly golf, the USGA. He was a member of Crossroads United Methodist Church in Washington. Wayne was a Die-Hard Cubs Fan since 1948, avid gardener, loved his wife, children, granddaughters, friends, and life itself. A Celebration of Life will be at 11 am Thursday, January 31, 2019 at Crossroads United Methodist Church in Washington. Pastor Jason Woolever and Pastor Sarah Wanck will officiate. Visitation will be 1 hour prior to the service at the church. A private burial will be at a later date. Deiters Funeral Home and Crematory in Washington is assisting the family with arrangements. Memorials may be made to Red Bird Mission c/o Crossroads United Methodist Church or to St. Jude’s Children’s Hospital.